Few things in life express love and affection like a timeless piece of handcrafted jewelry and, with Valentine’s Day quickly approaching, we find ourselves perusing the online shops of our favorite independent jewelers across the country. We love these designers for their emphasis on simple beauty—they create pieces to be worn throughout each day, not only on special occasions. And they are all dedicated to quality craftsmanship and sustainability—many of these brands give back to nonprofits, use recycled materials, and are committed to using only conflict-free stones. So, whether it is a modern or classic piece you are after, we can promise these independent jewelers have your loved one in mind. 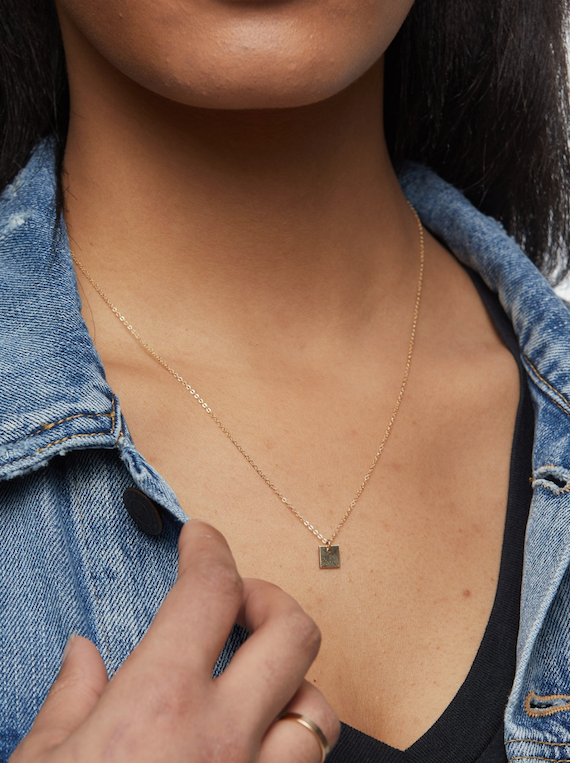 For the perfect Valentine’s Day gift this year, here are eleven handcrafted jewelry brands for the minimalist in your life. Check out our guide to sustainably-farmed flowers if you're gifting your jewelry alongside a sustainable bouquet! Most precious things come with a story. This was the shared idea by designers Anna Bario and Page Neal when they founded their design-forward and handcrafted jewelry collection in 2008. Both women—while compelled by the imaginative possibilities of jewelry—dreamt of finding a way to source precious metals and gemstones less the environmental and human cost; as a result, Bario Neal was born. Every item in this collection is ethically sourced and progressively manufactured. Working alongside the craftspeople in the oldest jewelry district in the United States—Jeweler’s Row in Philadelphia—specialized engravings and glass enamelings are applied to many pieces. A truly one-of-a-kind gift, your loved one will forever wear a story with jewelry from Bario Neal. A lifestyle brand dedicated to ending generational poverty through job opportunities, ABLE dignifies and empowers women through employment all over the world, including at their studio in Nashville, Tennessee. 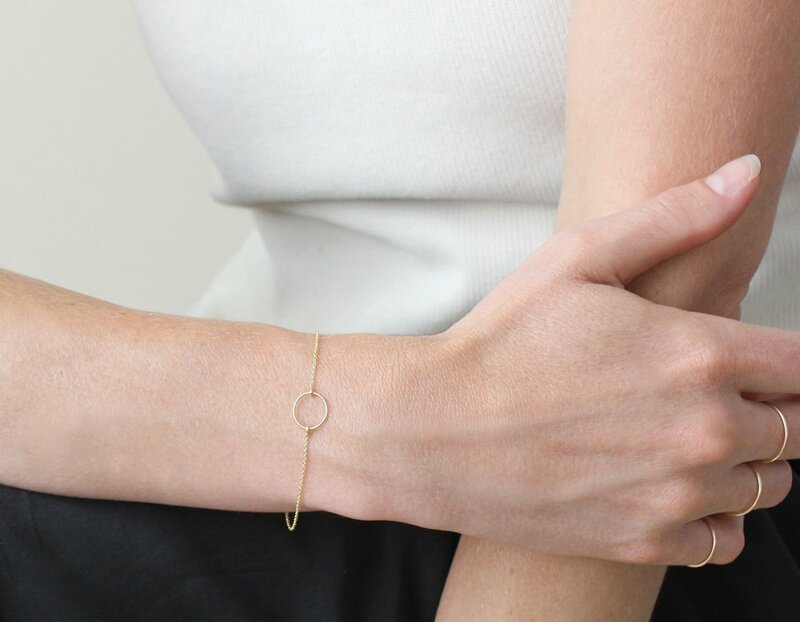 With necklaces, bracelets, earrings, and rings, the ABLE jewelry line is minimal and unique—each item is handcrafted by women and no two pieces are the same. The jewelry is also 14k gold and can be personalized with your loved one’s favorite phrase or monogram. Handmade in a sunny studio in Brooklyn, New York, Catbird jewelry is passionate about local manufacturing and ethically sourced materials. A simple yet stunning collection, the line prides itself on using conflict-free stones, recycled-gold, and reclaimed diamonds. 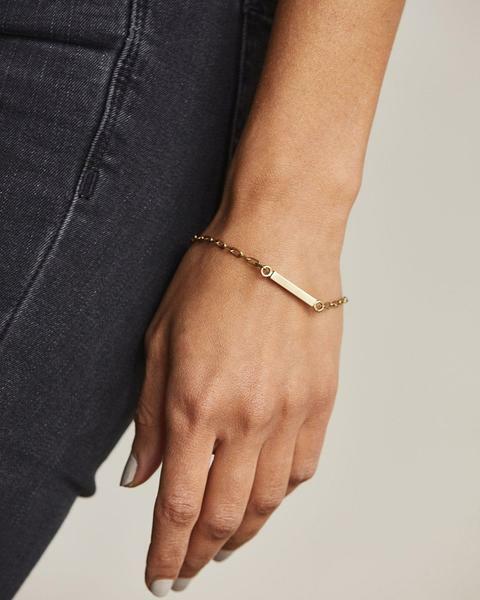 Moreover, one percent of all Catbird sales are donated to nonprofits dedicated fighting for equality, and the brand is a member of the CFDA (Council of Fashion Designers) and Made In New York. Every handcrafted piece in the Apse Adorn jewelry collection serves as an emblem of truth—a reminder for the person wearing it that he or she is worthy of life and can approach hard moments with courage. Founded by Hayley Boyd and Jarod Faw—a husband and wife team from Bellingham, Washington—the jewelry collection is ethically curated with sustainable and recycled materials in the USA. Further, ten percent of each sale is donated to nonprofits helping others fight for freedom and dignity. For an exceptionally unique and meaningful gift, we recommend browsing the Apse Adorn collection. Jewelry for men and women available. For a whimsical, heirloom-inspired piece, we love the Wwake collection. Founded in 2012 by designer Wing Yau, Wwake jewelry is handcrafted in New York and focuses on blending art with the intimacy of jewelry. Contour shapes, unusual stone arrangements, and modern design are all signature to the collection—and conflict-free, sustainable materials are of the utmost importance. If you are looking for a modern and one-of-a-kind piece for your loved one, look no further. Based in Vancouver, Canada, Wolf Circus was founded by Fiona Morrison in 2010 and specializes in classic and contemporary jewelry. Each piece is made with one mission in mind: to empower women to embrace confidence and femininity during their daily hustle. 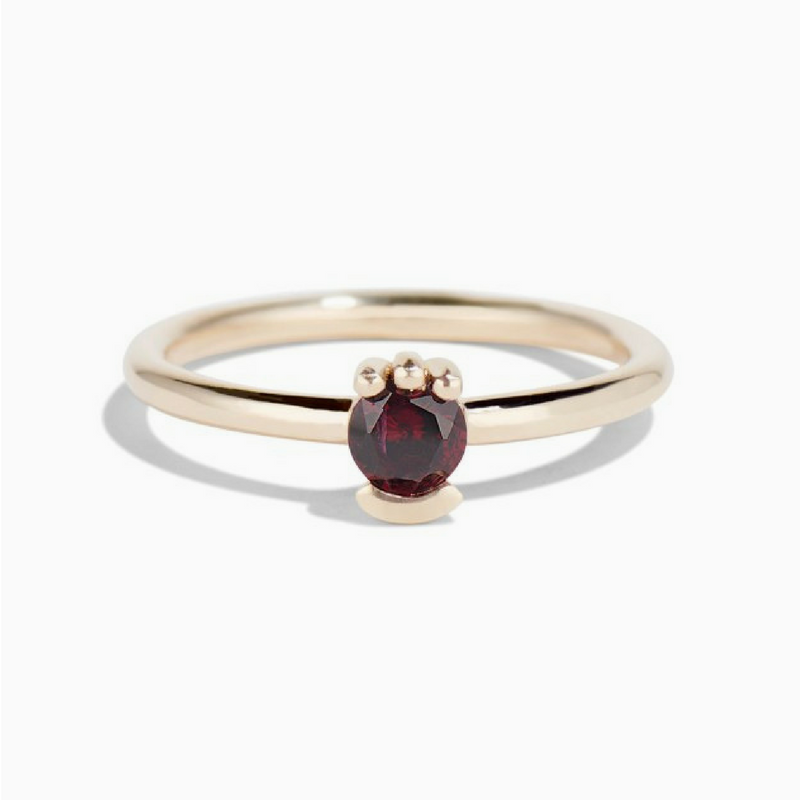 With a small team of three jewelers, the collection is minimal and chic. Necklaces, rings, earrings, and bracelets are hand fabricated or created utilizing the lost-wax casting process. 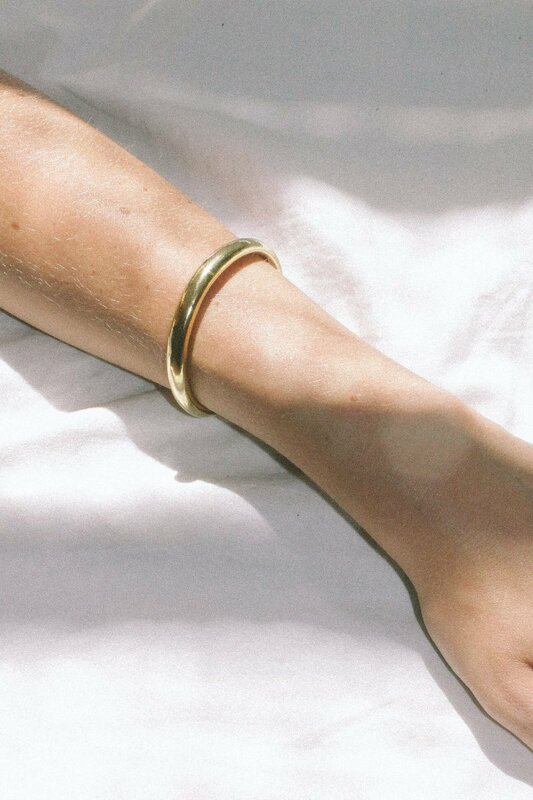 Nisolo creates more than just conscious handbags and shoes—the Nashville-based brand also has an ethical and minimalist-inspired jewelry line. Each piece is handmade by artisans in Kenya and—like with their other products—Nisolo fights for sustainable production and better wages for those working in the fashion industry. You can learn more about Nisolo’s jewelry making processing on their website. Vrai & Oro believes in pushing boundaries and exposing the harmful practices of the traditional jewelry industry. A small business that began in 2014, every piece in the collection is handmade at a locally-run factory in downtown Los Angeles—just around the corner from the main office (take the factory tour here). Jewelry is meant to be simple, timeless, and carefully crafted without harming others or the environment. When giving your loved one a piece from Vrai & Oro, you are not only gifting a thoughtful and quality item, but you are supporting the conscious and ethical production of jewelry. Hadley Kennedy began crafting jewelry while living in Honolulu, Hawaii in 2006. Working diligently as an apprentice and interning under some of the world’s most talented professional jewelers, Hadley perfected her skills and eventually launched her own collection. Her stunning line specializes in everyday wear, as well as fine jewelry. Aiming to remind women of their natural beauty, Hadley Frances is an intimate, minimal, and simply breathtaking collection. One of our favorite places to shop for jewelry is on Etsy. With options to browse collections from independent artisans all over the world, it’s the perfect place to find your loved one a rare or vintage piece. The online market also makes it easy to browse up-and-coming designers, as well as makers who specialize in crafting jewelry from recycled materials. Ginger Stones, a Washington-based line, specializes in simple designs inspired by natural elements—such as stud earrings made from stone. And each piece by Acute Designs—a small shop in California—supports causes like education, sustainability, refugee resettlement, and animal rescue.